Colonial-era Capes were most prevalent in the Northeastern United States and Atlantic Canada. They originated in New England in the 17th century. 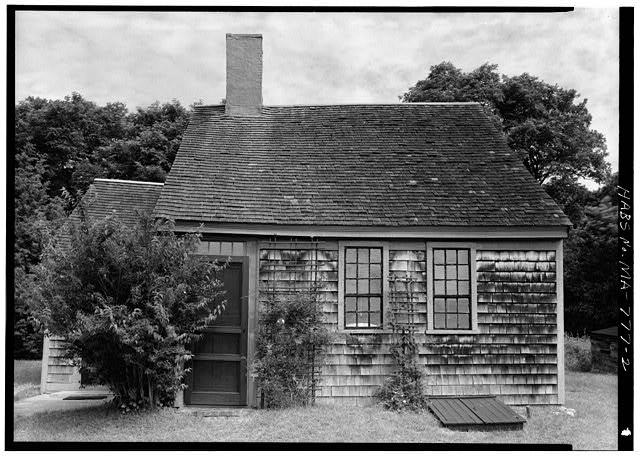 English colonists adapted the style from the English Hall and parlor house, to withstand the extreme Northeast winters. 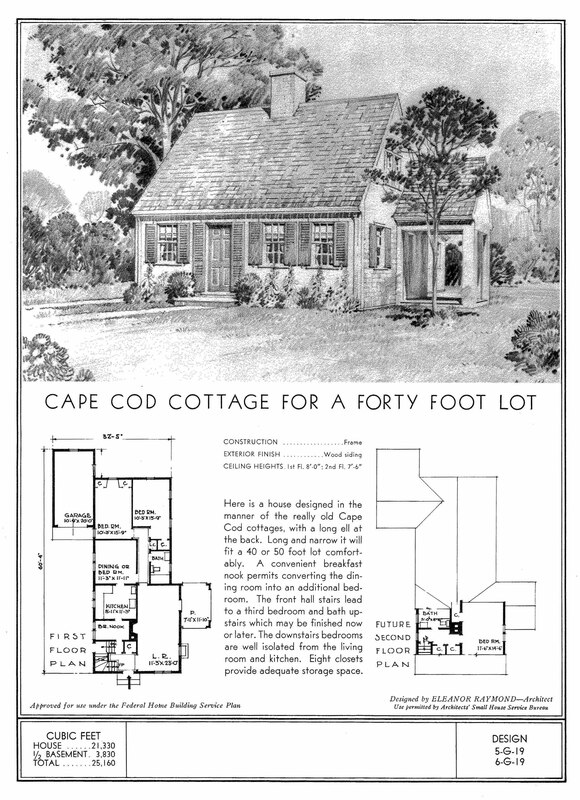 The term “Cape Cod House” was coined by the then president of Yale University in 1800, after he visited Cape Cod. 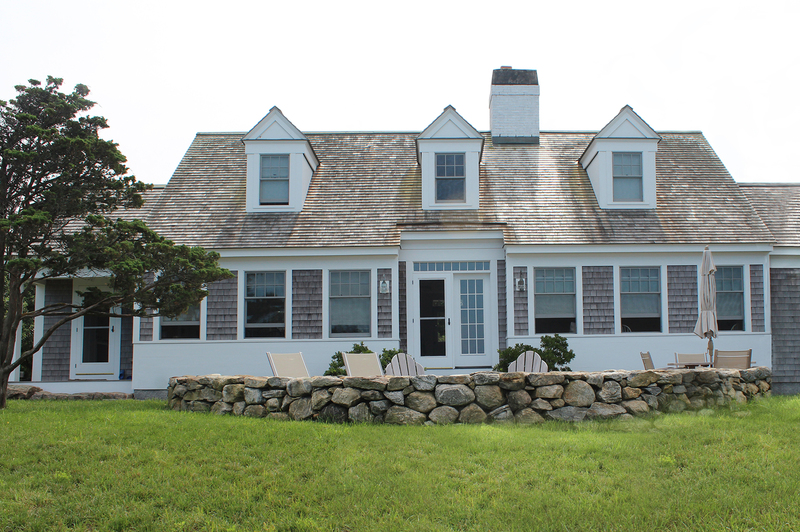 The Cape Cod House design was the perfect ‘starter home’. 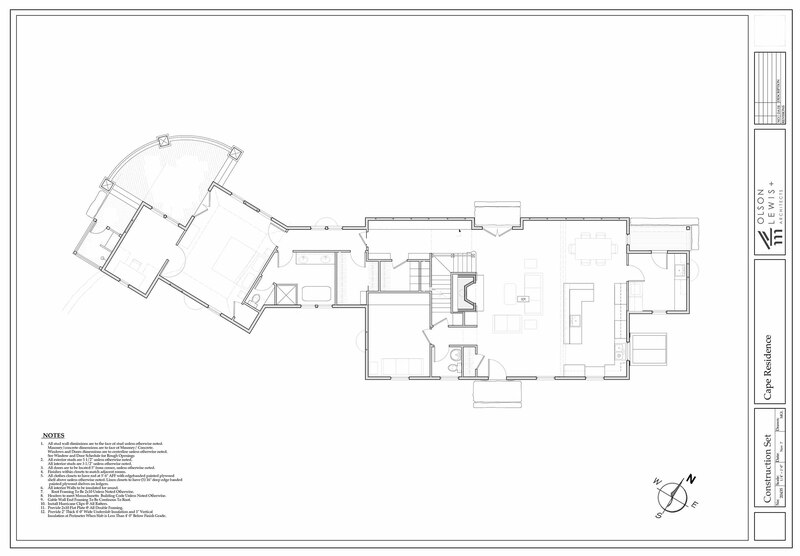 Homeowners could start small, perhaps with a Half Cape, and then add on at a future date. • shutters on the windows to hold back heavy winds. 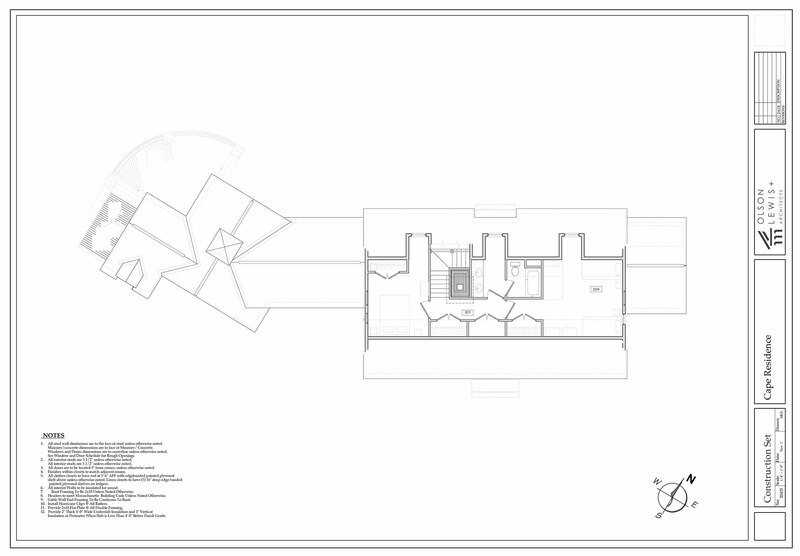 • small upper floor: two children’s bedrooms. Legend has it that the historic white chimneys with a black ring or band at the top, sometimes seen on Cape Cod homes, were a sign that Loyalists, supporters of the British Crown, occupied the home. It is however, more likely that painting the chimney was a way to prevent moisture damage. When a chimney was painted white, the black band was probably used to hide the soot that would inevitably settle at the top of the stack. 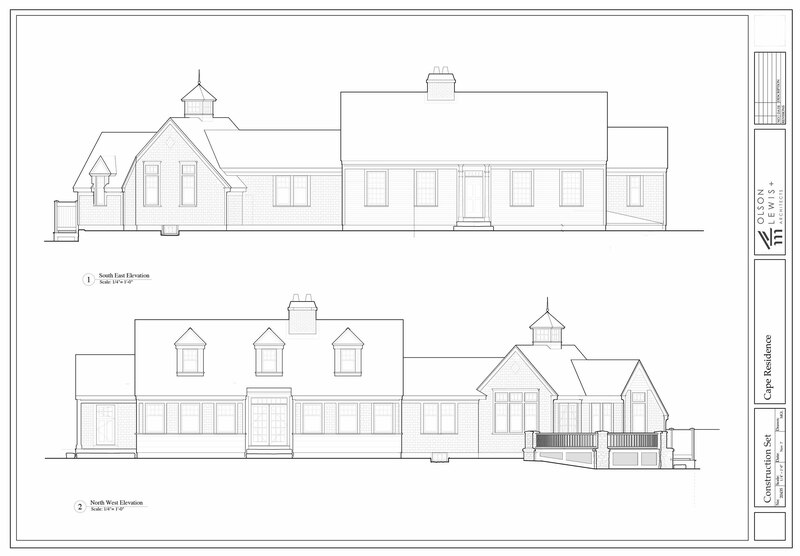 The original colonial and the revival styles are similar in that they are generally simple and symmetrical. During the 1930s to1950s the style was revived and adapted to cater to modern expectations. Around World War II the style was widely used in suburban planned communities, and it remains a favorite in the New England building industry today. 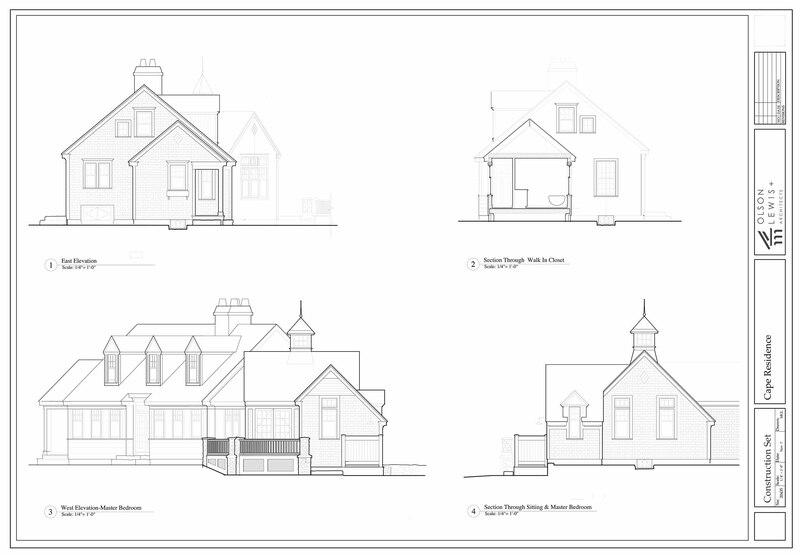 One of our residential projects located down on the Cape makes use of many of the typical Cape Cod Style design elements. In 1938, The Federal Home Loan Bank Board, The National Association of Real Estate Brokers (NAREB) and the American Institute Of Architects (AIA) joined together to sponsor the plan. This was a program of certification to help homeowners who used the service bureau plans and the services of an architect during construction with their financing. Eleanor Raymond was born in 1887 and died at the age of 102 on July 24, 1989. She practiced architecture in Boston between 1919 and 1973. Much More about her at a later date!